This house containing 5 bedrooms, 5 bathrooms and extensive living areas, sits within a bush setting. 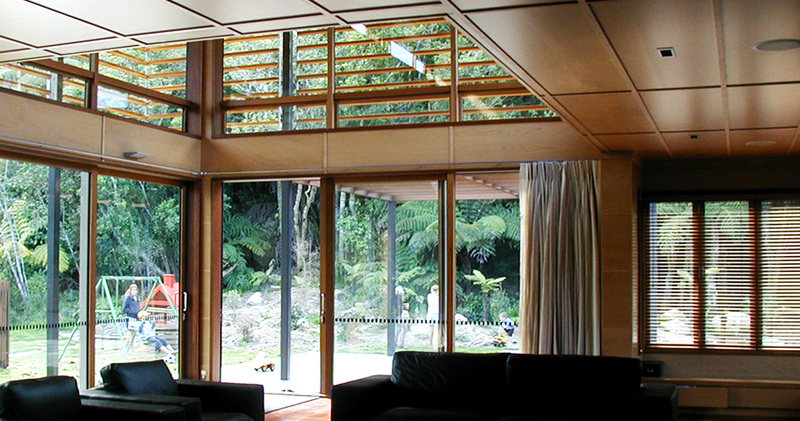 Verandas with cedar sun slats shield the glazed areas to avoid overheating. The interior is lined almost completely with European beech veneer. This together with the extensive natural light, beech cabinetry, merebau floors and Timaru Bluestone fire surround produce a calm, soft and warm living environment.